The 36th Annual International Wildlife Film Festival is thrilled to announce this year’s award winners. The IWFF is the first festival of its kind and the longest running wildlife film festival and conservation conference in the world. Awards were presented at a First Friday ceremony on May 3rd at the Roxy Theater in Missoula, MT. The Missoula Community Foundation generously sponsored the evening’s festivities. Several of the top award-winning films will rescreen on Saturday, May 4th at the Roxy. 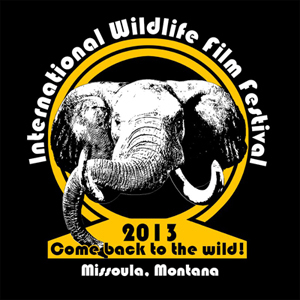 This program of award screenings will be announced online at www.wildlifefilms.org. The 2013 IWFF Lifetime Achievement Award for Marine Conservation & Media was awarded to Howard & Michele Hall whose aquatic film work has dramatically expanded our understanding of ocean environments. As filmmakers and as conservationists, their films and television programs are a testament to the ability of film to convey our understanding of the natural world. The Halls have received seven Emmy Awards and numerous other honors, and they have authored many books and articles about their incredible experiences diving in the world's oceans. The Halls have worked on IMAX® films including Into the Deep, Island of the Sharks, and Lost Worlds: Life In Balance. With MacGillivray Freeman Films, Howard photographed spectacular underwater sequences for the Academy Award® nominated film The Living Sea and more recently for Journey Into Amazing Caves. Coral Reef Adventure is the first time the talented pair has worked behind the camera and in front of it. The IWFF also recognized Mateus Mutemba of the Gorongosa Restoration Project, as the recipient of the 2013 Hero Of The Year Award. Mateus is the Park Administrator of Gorongosa National Park, and has been with the project for over six years. The rehabilitation of Gorongosa National Park in central Mozambique represents one of the great conservation opportunities in the world. Gorongosa is a region of magnificent and critical species, tremendous diversity, and ecological features found nowhere else on earth. Mateus’ grandfather was one of the founders of the independence movement in Mozambique. Continuing the family tradition of honoring his country’s heritage, Mateus works closely with The Carr Foundation and the government of Mozambique to protect and restore the ecosystem of Gorongosa and to develop an ecotourism industry to benefit local communities. The IWFF preliminary judging process is a rigorous and thorough approach to programming the best films for our event. The festival relies on local and regional community members to participate in preliminary judging panels. Over the course of each two-day panel session, judges screen and discuss film entries, and determine as a group which films will pass forward to the final judging panel. This is the story of the tuna, one of the fastest, most powerful and most intelligent fishes in the sea. It’s also the most highly prized, worth more than its weight in silver, and is being fished to the brink of extinction. From the lush wetlands of Botswana’s Okavango Delta comes the tale of a lion mother who must battle against the odds to protect her cubs. In a remote forest wilderness in Russia, one man dedicated five years of his life to living in immense solitude in order to capture on film for the first time multiple families of Siberian tigers. Before he departs from this demanding task, he shows another filmmaker his art of observation and tracking, so that these amazing creatures can continue to be filmed. 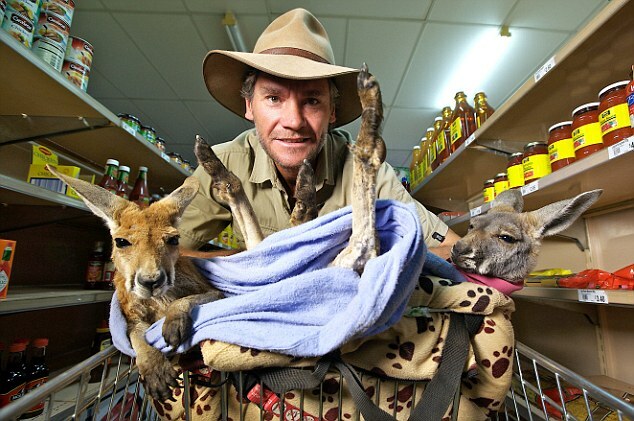 This is the story of an Australian outbacker who founded a baby orphan kangaroo center to prepare these marsupials for the hazards of the wild. We’d like to express our gratitude to this year’s generous festival sponsors: National Geographic, Animal Planet, UMT, First Security Bank, Community Medical Center, Western MT Clinic, and Panasonic.